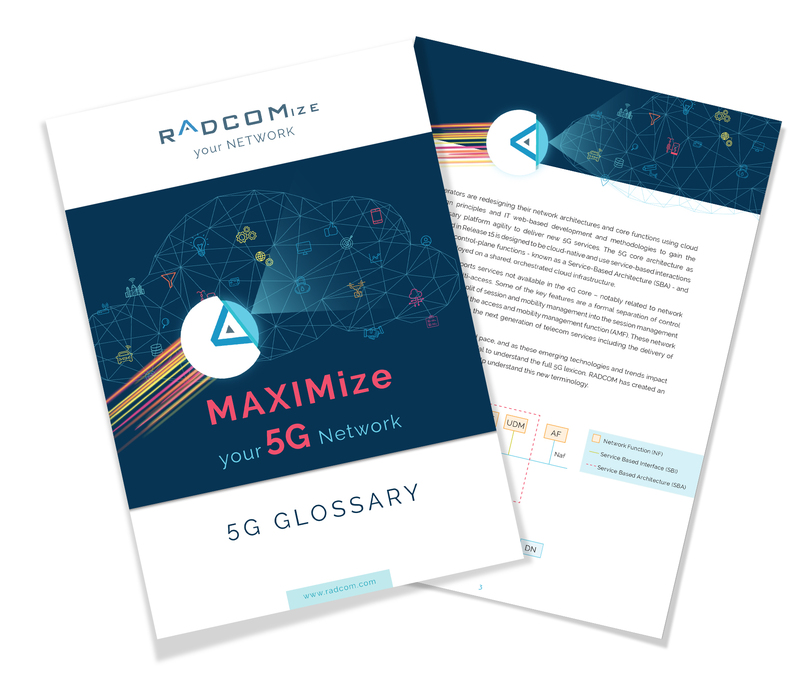 RADCOM’s “5G terms you must know” is a complete glossary helping you to understand key 5G terminology. From AF (Application Function) to UPF (User Plan Function) and everything in between, our glossary will give you the low down on the essential lingo to help you MAXIMize your 5G network. The changes that are coming with the transition to 5G are set to shift how connectivity plays a role in our day-to-day lives. With these developments come many new technical and industry terms which will be crucial in understanding the necessary implementations and updates. Download the “5G terms you must know” as part of RADCOM’s 5G series here.